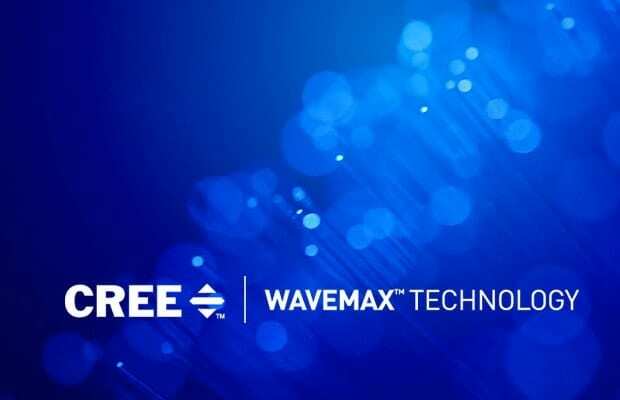 WaveMax® Technology is a breakthrough in the execution of waveguide technology that challenges industry-standard assumptions of how light is delivered. WaveMax® offers an unparalleled lighting experience by distributing visually comfortable light with exceptional uniformity, high efficiency, precise control and design appeal. WaveMax® Technology facilitates a luminaire design with no visible light source, no lens, no apparent optics. You can stare directly at the downward facing surfaces of the waveguide without discomfort. There are no hot spots, no bright flares and no glare. Cree designed highly efficient “smart extractors” to capture carefully measured quantities of light and project it outwards and illumination. By carving dimples into the surface of the waveguide, this allows the light out. The exacting angles and highly precise faces of the grooves appeals to the name DiamondFacet™ lenses. Utilising DiamondFacet™ optical elements to release and control light, WaveMax® Technology delivers exceptional optical control to ensure that light is delivered on the task surface and ceiling with a low ceiling contrast ratio. With this innovative approach to light delivery, luminaires distribute the precise amount of light exactly where it is needed – no more, no less. Designing the waveguides for each fixture was one challenge; manufacturing them was another. The required geometries, the smoothness of the surface and the precision of the DiamondFacet™ lenses were all measured in ten thousandths of an inch. Consistency of the acrylic medium is critical. Any air bubble, imperfection or rogue speck of dust would act as an optical feature, sending light caroming off with unpredictable consequences. Once Cree scientists mastered the physics, they set about applying their knowledge to a variety of luminaires for street lighting, parking structures and interior commercial environments. 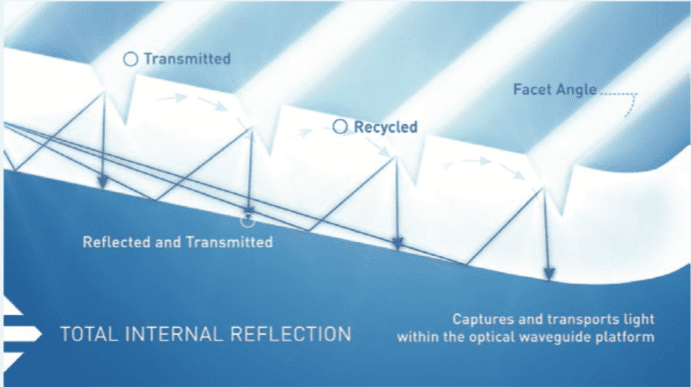 Cree have cracked the code to optimise the properties of three- dimensional and curved waveguides, opening up endless possibilities for lighting fixtures both breathtakingly artistic and bottom-line practical. Fixtures that are designed around these advanced waveguides can deliver lumen per watt levels that are comparable tor better than cooler LEDs. Historically, the shape and size of lighting fixtures have been heavily driven by the lighting technology inside of them. The need to dissipate their heat has dictated their shapes, sizes, form factors and how much usable light they provide. With the advent of WaveMax® Technology, fixtures can be designed in harmony with their environments without sacrificing utility or efficiency.